Refurbishment of a 12 month old, 800sqm law firm tenancy to accommodate Madderns Patent and Trademark Attorneys’ new head office. 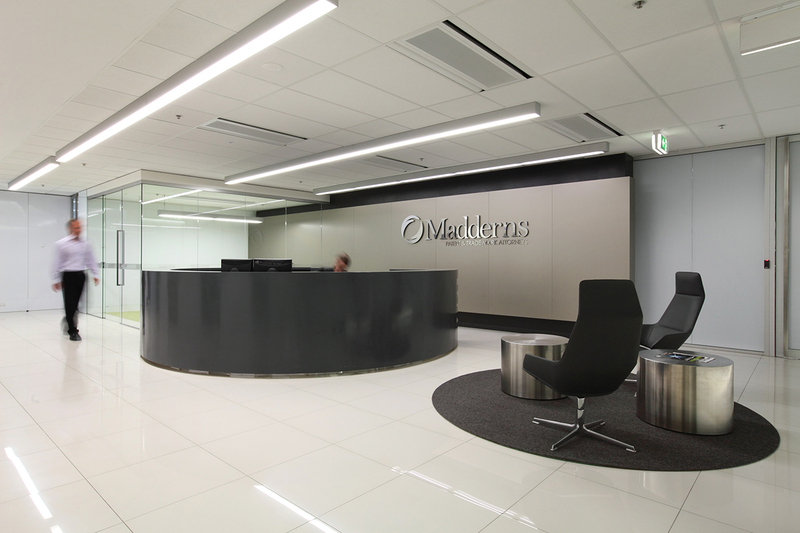 Madderns took over a lease of a reasonably new fitout and wanted minimal but considered alterations in order to brand the fitout as their own. The revised front of house and staff work areas are innovative, corporate, technological and refined in aesthetic to reflect and appeal to their inventive client base and the ideals of the company.